Everyone feels anxious now and then. Many people feel nervous when they face some challenging task or difficult situation like before making an important decision, before examination, or interview, before appearing in front of group of people etc. Sometimes the feelings of anxiety continue after the difficult situation or sometimes you may feel a stronger sense of fear than other people. Anxiety is considered a problem when symptoms interfere with a person’s ability to deal with social and personal affairs. Homeopathic medicines are highly effective in controlling the anxiety states. After taking homeopathic medicines there will be significant relief in frequency, severity and duration of anxiety states or panic attacks. Kali Carb is prepared from the mineral salt potassium carbonate. They are fearful, apprehensive by disposition. There is fear with anxiety of illness, of future. There is anxiety about own health and starts feeling that something bad will happen and would lead to misfortune. There is fear of being alone. He feels anxiety in and around stomach. Intense anxiety makes them censorious and irritable. Anxiety gets expressed through frightful dreams and delusions, and also through disturbed sleep. Profound weakness of nerves and joint affection after anxiety. Indicated in various kinds of phobia, panic attacks and generalized anxiety disorder as well. Silicia is prepared from inert silica i.e. sand. But when prepared based on the wonderful principals of homeopathy this homeopathic medicine for anxiety can do wonders in variety of diseases. They are responsible, dedicated and often overreact. Even small mistakes make them anxious. Silica lacks stamina. There is lack of self confidence, and extreme fear of failure. They feel extreme anxiety about the performance, and thus he has fear of appearing in public, interview, examination or any new job or task. They are so much anxious that they can‘t sit at one place. 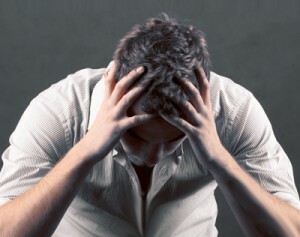 Anxiety can bring on headache, difficult concentration and a state of exhaustion and over-sensitivity. It’s frequently used for generalized anxiety disorders, social phobias and specific phobias. Lycopodium is prepared from the spores of a fungus called as club moss. It is very deep acting remedy. Very well indicated in various types of anxiety disorders and after effects of anxiety. There is intense fear of going in public places and performing in public. The patient dreads public appearance even if his profession demands it and he is practicing the same since years. Intense fear of not being able to perform well and fear of negative evaluation by others. Anticipatory anxiety is marked and there is total loss of self confidence. Constant apprehension and fear of breaking down under stress. Once in the middle of a presentation they frequently relax and do well. Anxiety in new groups and situations that is covered up with bravado or over talking. This medicine is prepared from the nitrate of silver. The patient is very anxious and impulsive by nature which puts him at an extreme hurry in whatever he does. He dreads situations that may cause him anxiety and tries to avoid such situations. Whenever he is going to an important event or function, or any unusual event it is attended with anxiety, diarrhea sets in. And hence this remedy is used for all types of fear and anxiety brought on by an over-active imagination i.e. anticipation. Stage fright, claustrophobia and anxiety in the face of unexpected situations are all helped by it. Fear of heights, tall buildings, of passing certain place, stepping into a line of traffic. Anxiety worsens with overheating and they feel better in cool fresh air and away from crowds. All this anxiety causes much brain fag and the patient feels as if time passes too slowly. Physical symptoms of anxiety very marked such as trembling of hands and feet, palpitations in the chest, shortness of breath, dizziness and fainting, dryness of mouth, stammering, excessive sweating, diarrhea etc. All in all a very good remedy for generalized anxiety disorders, social and specific phobias, stress disorders, panic attacks and also for agoraphobia. The Arsenicum anxiety focuses on issues of security and safety, what will happen in the future, especially at night and when alone. They tend to worry about health, robbers, or money. To manage this anxiety, they become overly fastidious, perfectionists and selfish in their insecurity. They feel better in company but become critical of others and controlling in behavior. They are usually overly neat and tidy. It is very well indicated in phobias, panic attack and obsessive compulsive disorder. Is your anxiety is so prominent, that is interfering with your personal, social and professional life then it needs immediate attention by an expert. Dr Shah has worked over three decades on various chronic diseases including various Anxiety disorders and after effects of anxiety. His patients in more than180 countries have been benefited by his research based homeopathic treatment.